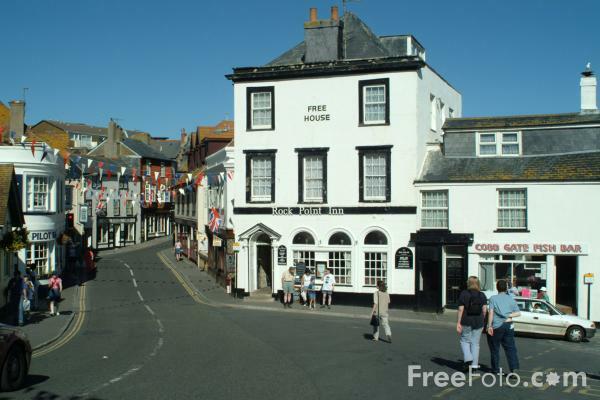 Pictures of Lyme Regis, Dorset, England. Lyme Regis is an popular seaside resort and fishing port surrounded by beautiful coastlines and countryside. Lyme Regis is also famous for "The Cobb" as featured in the film adaptation of the famous novel by local author John Fowles: 'The French Lieutenant's Woman'. VIEW: More images from the category Lyme Regis, Dorset, England or around the same time .